Current research demonstrations that independent garages lead the MoT Testing market, completing three quarters of all MoTs carried out in 2015. The 2016 Castrol Professional Car Servicing and Repair Trend Tracker report also revealed that independents carried out 72% of all car repairs and 55% of routine car services. According to Trend Tracker, 30% of all work carried out by independent garages is directly linked to an MoT test. Major fast-fit product offers are also amongst the highest MoT test failure categories.Undoubtedly, independent garages have a strangle-hold on MoT testing. With the pool of repair work shrinking thanks to the boost in new car sales, dealers need to be thinking about how they can attract motorists to their workshops. Our research reflects that 39% of our customers are heavily influenced by the services and information provided with the quote, coupled with the customer reviews.These customers are not buying based on price. Our research also indicates that customers still believe that they will pay significantly more for a franchised dealer to carry out work and are intimidated by the anticipated experience. Price is an influencing factor for the majority of customers and many opt for independent workshops and garages, because they offer the cheaper option. We know that customers are paying on average of 11% more, when they choose a franchised dealer to carry out work. 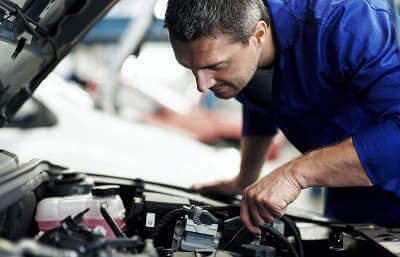 We have seen many instances where the service department are hamstrung by a budgeted retail rate and miss out on a MoT, servicing or repair lead for £10-15. What would the used car manager pay for that lead? Dealers who understand the importance of capturing a new aftermarket customer can exploit the profit opportunity of a brand new service, MoT and/or repair customer. One manufacturer currently on MyCarNeedsA.com is capturing more than 50% of their brand’s work on the site, with over 60% of customers choosing their dealers over independents to carry out clutch replacements. As every potential aftersales lead is a potential new customer for the whole business – new cars, used cars, parts, service and bodyshop, having a more all-in approach to customer acquisition can be of significant benefit across the entire business. For example, a customer who has owned their vehicle more than 24 months (in the change cycle), lives close by and needs a major service or new clutch, could provide a hot prospect for a the sales department. However in many dealerships, there is little crossover between the aftersales and sales departments on marketing strategy and planning. Where Would You Find A Catalytic Converter? Hitting the brakes on car sales in 2018 - dealerships turn to aftersales to increase profits.